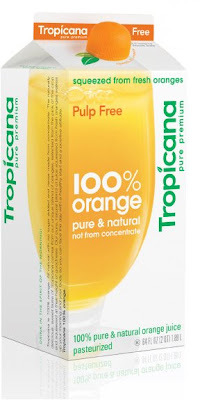 Tropicana has a new look. I kinda like it. I can't decide whether I like the simplicity of it, or whether they are trying to trick me into thinking I am grabbing the store-brand! hmmmm. I don't know about that. But isn't the rounded cap so great?